Many organisations rely strongly on volunteers, without the support from volunteers many organisations would not survive. Becoming a volunteer can make a real difference in someone’s life. The ranges of opportunities are massive. It doesn’t matter what skills and experience you have, there is always something that you can do. 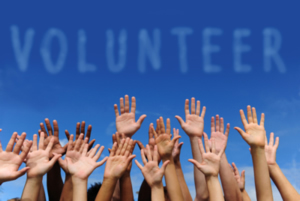 The biggest problem for many people is finding the time to volunteer. It can reduce your choices if you don't have much time to spare, but many busy people do find suitable opportunities. You can look through our jobsite and see what's on offer in your area. Rewarding Volunteering gives you an opportunity to make a difference to people’s lives in your community. You can use your skills and experience to help and enrich the local community. Improve job prospects & employability Volunteering can enhance your future employment prospects and enable employers to see that you have developed the necessary skills you may need in their organisation. It is especially useful when completing application forms and during job interviews to illustrate the skills you have developed through these voluntary experiences. Experience Volunteering gives you a chance to get experience in a field you would like to work in. Training Many of the volunteer projects will include training, which will be useful both on the project and in later life. Experience diversity Volunteering gives you the chance to meet people both from within and outside the University who you would not normally come across. Influence career choice Volunteering gives you the opportunity to test out potential career choices. Opportunity for training and development Volunteering provides you with development opportunities that are not always possible with paid employment, for example; communication and people skills, organisational and time management skills, planning and budgeting skills. It can help open up fresh opportunities and is a way to explore new career paths.